In the new update Samsung has expanded Samsung wearables compatibility to Galaxy J series models. The Galaxy J series devices – Galaxy J7 Prime, Galaxy J7 Neo, Galaxy J5 Prime & Galaxy J5 Pro are now compatible with Samsung wearables. Newest models in J7 family Galaxy J7 Pro, Galaxy J7 On Max & Galaxy J7 Max are not yet in the list, may be they come in the next wave. This is the first time Samsung brought J series phones into the wearable zone. Users can connect Gear S3, Gear S2, Gear Sport, Gear Fit 2, Gear Fit 2 Pro & Gear IconX with J series smartphones. To make it happen, Samsung has released Gear Manager update on Play Store. Users have to install this latest update on their device and then connect it to compatible gadgets. The new update is only available in Brazil. It still has to come in other markets. It looks like Samsung first want to check its compatibility and later roll out in major countries. To get new update go to Play Store from your smartphone and install it. The Samsung Gear Sport is new wearable and Gear Fit 2 Pro is brand new fitness tracker in the market. Both Wearables are compatible with new Galaxy S8, Galaxy S7, Galaxy S7 Edge, Galaxy S8+ and Note 8 smartphones. Now with the J series compatibility Samsung wearables will grab more attention of the mid range users, because J series is most famous mid range series from Samsung in many countries. 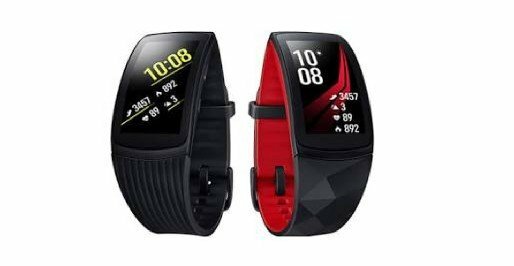 Specially in countries like India & Brazil Samsung smartwatches & fitness trackers will make more sales, where J series phones are very popular.